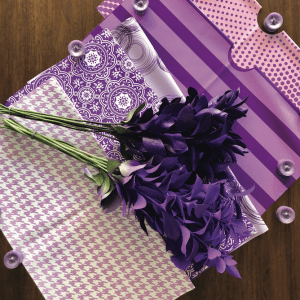 In mid-December, the Pantone Color Institute, a Washington, D.C.-based design firm known worldwide as the authority on color trends, unveiled “Ultra Violet” as the dominant hue of 2018 — and florists around the country rejoiced. According to Leatrice Eiseman, Pantone’s executive director, the “complex and contemplative” purple — symbolic of counterculture, unconventionality and artistic brilliance — reflects consumers’ desire to leave their unique mark on the world. Check out 10 varieties perfectly in tune with Pantone’s selection — and get additional designer tips — in the February issue of Floral Management magazine.